Head over to your local Kroger, where through 9/27, they are having another one of their great Mega Savings Events! When you buy four participating items, you will save $4.00 instantly! During this event, Playtex Sport Liners, Pads and Tampons are on sale for $3.99! 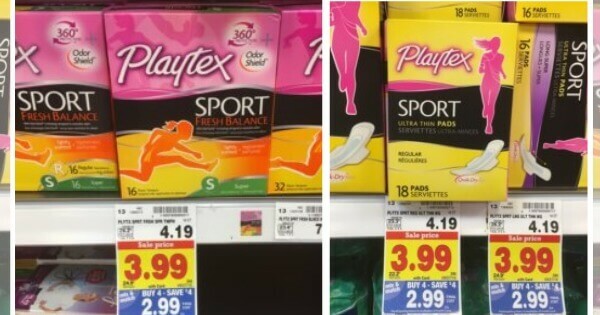 Plus, we also have this great $1/1 Playtex Sport products Valid on 16 ct or larger. Excludes 20 ct liners., Checkout51 Rebate that we can use, making the tampons just $0.99 after stacked offers, and the pads and liners just $0.49 when you buy four participating items! Be sure to stock up!